As computers and telecommunications gear gets hotter and enclosures get smaller to increase density, air flow for thermal management has become a growing concern for many of our customers. To address this, Insul-Fab provides baffles, barriers, and gaskets to ensure targeted heat removal. Barriers, baffles, and air ducts made from UL rated materials (most commonly Formex GK), cut and folded or shipped flat for assembly at the production line. More advanced designs utilize thermoforming to create a smooth channel to direct airflow over a heat sink. 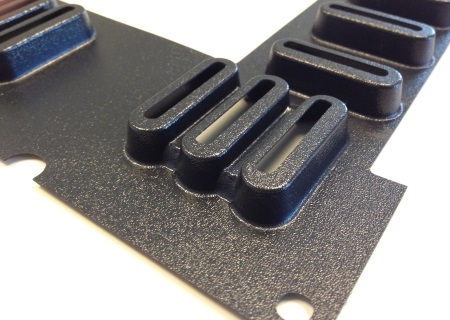 Gaskets and other foam designs fill gaps where back pressure is lost. Designs can also be fabricated to replace optional hardware in equipment to ensure consistent airflow regardless of how the system is configured. 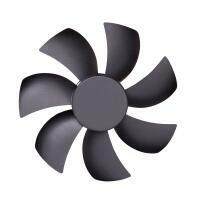 Air baffles, ducts, gaskets and “dummy hardware” to ensure maximum cooling efficiency from fans. UL rated plastics and foam materials for use inside enclosures converted to specified designs. Fast-turn prototypes and innovative design support available.